What if brand mascots weren't chipper or cheerful? What if, instead of smiling ear to ear while trying to hock Energizer or McDonald's, they were jaded, even sadistic? 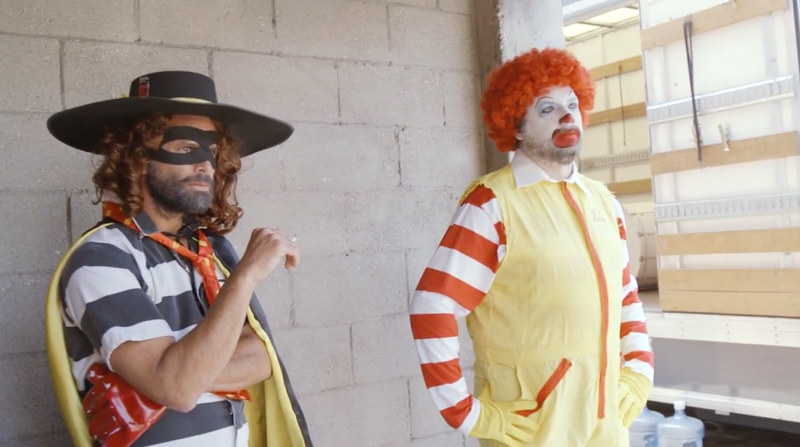 That's the world GQ has imagined in a new digital short featuring Danny McBride and Walton Goggins—two actors so perfect for showcasing the dark underbelly of any world that it's easy to imagine they aren't even acting here. That the effort is part of a promotional cycle for the HBO show Vice Principals, which stars McBride and Goggins, takes the effort to a level of meta that might be a touch too far. Or maybe it's perfect. Whatever your take is on their take on brand mascots, it's fun to see the Jolly Green Giant and the Pillsbury Dough Boy just being dicks.